“I Fall Apart” is a song by Post Malone from his album Stoney (2016). The song was released on October 17, 2017 by Republic Records as the sixth single, after a viral performance on social media. On “I Fall Apart,” Post reminisces about a hard break up he experienced. He jokingly mentioned in a Hot 97 interview that he “dove into his really emotional side” and even “cut himself to some records” in the album, and it shows here. 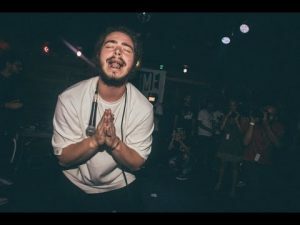 Download Post Malone – I Fall Apart ringtone free for mobile now!